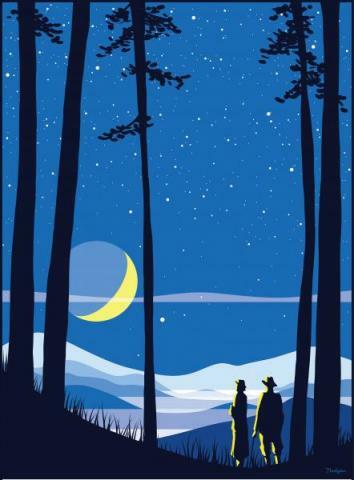 This year's Statewide Star Party theme is "The Moon and Beyond" and 2019 marks 50 years since the Apollo 11 spaceflight. Join educators from Jockey's Ridge State Park as we lead a lesson in basic stargazing and observe the earth's moon! Meet us at The Nature Conservancy's Nags Head Woods Preserve - and bring a flashlight! This program will be held rain or shine. Preregistration is required by phone (252.441.7132) or e-mail (jason.m.brown@ncparks.gov).